It’s another series book for me, yes I’ve had my head glued to my Kindle lately and my goal is to catch up on some of my reviews. 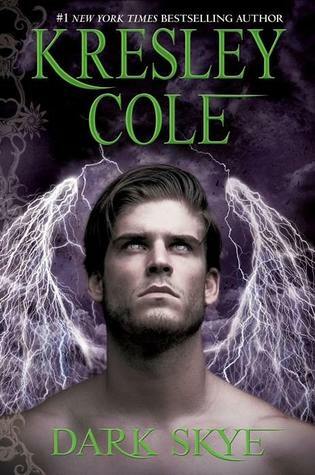 This is book #14 in the IAD series by Kresley Cole, Dark Skye. I really enjoy this author and her writing style, but this book took to long for me to really enjoy it. It peaked finally in the middle and was a good page turner to reach the home stretch. What I found more interesting were the sub-plots with other characters, gotta love Nix and her weaving of plots and outcomes for the ascension *wink, *wink. Did you feel different about this book? Love to hear from you in the Comments below. I really wanted to love it, did I miss the boat?